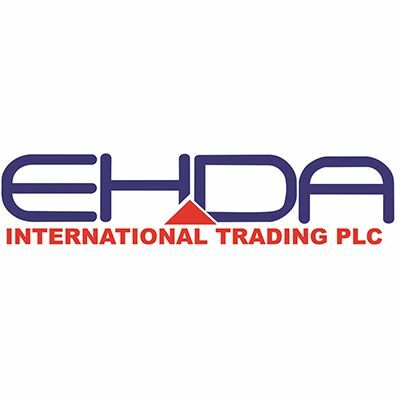 EHDA International Trading PLC engaged in the supply & installation of Electrical, Electromechanical, IT, Telecom systems, Security systems, Air Conditioning systems in Ethiopia. The company was established in 2009EC. A lot of activities are ongoing in the power sector services of EHDA in order to play its crucial role in facilitating quality power supply equipment and services in Ethiopia. Some of the power sector services we deliver are mentioned as follow. Supply PBX, PABX & different telephony systems and Accessories. Supply ‘optical plumbing’ that is the building block of wireline & wireless networks such as FTTx & LTE. Supply field deployable test & measurement equipment that is essential for maintaining optical networks. Supply Connectivities & devices for in-home networks. Heating, ventilation and air conditioning (HVAC) systems control the temperature, humidity and quality of air in buildings to a set of chosen conditions. To achieve this, the systems need to transfer heat and moisture into and out of the air as well as control the level of air pollutants, either by directly removing them or by diluting them to acceptable levels. The company currently has an employee comprises 3 engineer and 6 technicians, 7 human resource, finance, sales and general service officers in permanent and contract basis. But the number of workers regularly varies depending on the intensity of the tasks the company participates. Our sales shops are equipped with the latest Equipments, materials & professionals so as to serve our customers timely & efficiently. Our goal is to see our customers satisfaction with the services rendered to them. Our vision is to be the best supplier of quality products that satisfies our customers’ needs. Our sales shops are equipped with the latest Equipments, materials & professionals so as to serve our customers timely & efficiently. Our goal is to see our customers satisfaction with the services rendered to them. Our vision is to be the best supplier of quality products that satisfies our customers’ needs. Planet Networking & Communication Company from Taiwan. Belden Networking & Communication Company from England. FOLAN Fiber & Accessories Company from France. TOTEN Rack Company from China. PULGAl Tranking Company from Israel. We will use every opportunity to enable ourselves to be the most skilled professionals in delivering the services to our customer based on their demands. We are dedicated for the satisfaction of our customers & development of our staff members. We are adaptable to new technologies & take initiatives to be the leader in introducing them to our society. We are established aspiring to be a major, reliable and the best supplier of quality electrical Equipments, electro mechanical materials, IT, Telecom & Security systems that satisfy our customers’ need in East Africa by maintaining world class standards. Having knowledge of increasing business competition, changing workforce competency and resource pressures, plus the rapid change in client expectations were factors for Ehda International Trading P.L.C. to think about the practice of project management as key to reliably delivering complex business solutions to its clients. Experience has shown that lack of good project management is a major contributor to certain project failures, customer satisfaction issues, and revenue and profit erosion. To achieve organizational competence in project management, we’re establishing and driving a consistent career infrastructure, a common methodology based on industry standards, and supportive project management enablers including processes, tools, and measurement systems. 1. One consistent project management delivery approach across Ehda International Trading P.L.C. That improves delivery timeliness and deliverable quality while reducing project costs. Communication is simplified and timelier with standardized tools, formats, and terminology. Our project managers benefit from others’ experience so they no longer waste time reinventing techniques already successfully used. Based on the Project Management Institute’s (PMI) Project Management Body of Knowledge (PMBOK® Guide), we keep up to date ourself with revised industry standards and changing best practices. 2. Qualified project managers are assigned to all significant projects. Selected (based on their experience relevant to that specific task) project managers will be assigned for the specified projects through the assistance of our human resource unit management system. 3. Project managers and business executives are accountable for project and business success through the use of consistent project performance measurements and metrics. In evaluating performance and achievement, Ehda International Trading P.L.C. consistently assesses all aspects of practicing project management; technical, schedule, and financial performance. Past project data allows Ehda International Trading P.L.C. to identify and evaluate trends and then improve current processes. Ehda International Trading P.L.C. project managers, project teams, and executives are assessed, recognized, and rewarded based on achieving project objectives and high client satisfaction. 4. The development and nurturing of a committed, vibrant project management community. A professional community thrives through the contributions of its members as they help each other become proficient in the practice of their profession. Applied community efforts include mentoring other project managers, teaching project management classes, performing project assessment and assurance activities as well as the sharing of experience through “lessons learned” exercises and published papers. Such “giveback” activities renew and refresh project managers and are considered not only a community social responsibility but an honor. 5. Reuse of project management knowledge, experiences and best practices. Knowledge, experience, and best practices are formally developed, documented and reused during projects and help project management maturity grow across the enterprise. Accountable project managers and executives who are committed to showing greater business value through successful projects while preparing to deliver on the promise of smarter business environments.